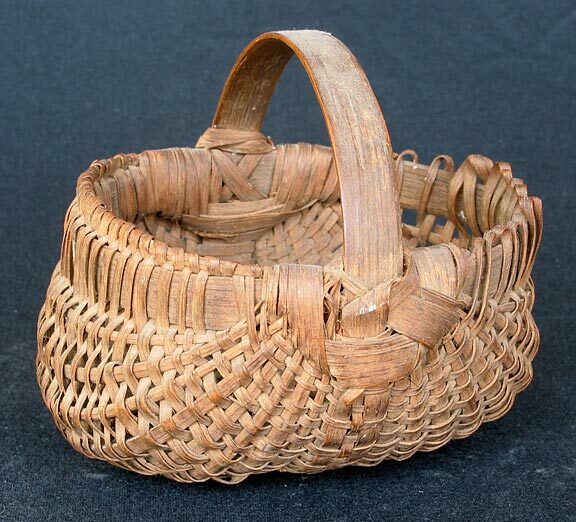 This basket was bought at one of the many basket road side stands along 31W. It was bought by my Great Grandmother Annice Tucker Bush in 1944 and given to me. She lived in Kansas at the time and would come to KY eash summer to visit her daughter (my grandmother Edna Lizzie Bush Rhea) whom my great grandmother called "Baby". On her way here each summer she would always stop along the way to bring each of her (7) great grandchildren a gift. Material: White Oak.